We have the following Combo units available. Can be used either wet or dry. 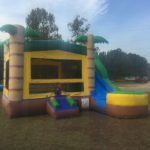 The kids will have a blast climbing the rock wall and sliding and bouncing around! 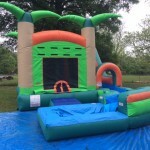 For a Wet/Dry gathering with an assortment of interactive activities like a slide, basketball hoop, climbing wall and the bouncer, this combo will be a HUGE HIT! 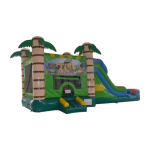 For a Wet/Dry Gathering with and assortment of interactivity’s like a slide, climbing wall and the bouncer, this Combo is loads of fun!! 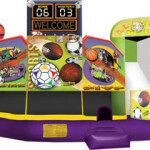 For a Wet/Dry Gathering with and assortment of interactivity’s like a slide, Basketball hoop, popups, climbing wall and the bouncer, this Combo is loads of fun! !